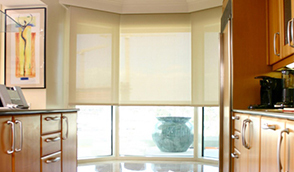 The primary purpose of a Sun Shade is to control the amount of direct sunlight through your home’s windows. 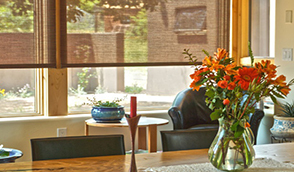 The objective of a Sun Shade is to block the entry of direct sunshine into your home throughout the cooling season, while allowing direct sunlight during the heating season. This combination provides the greatest benefit for reducing energy consumption over the life of your home. 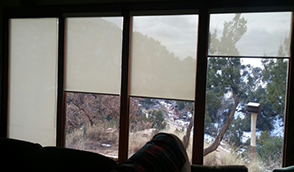 Contact DC Shutters for High Quality Sun Shades in Brampton, Toronto, Oshawa, Oakville, Kitchener, Waterloo, Hamilton, Niagara, Toronto, Richmond Hill, Aurora, Newmarket, Ajax, Whitby, ON.